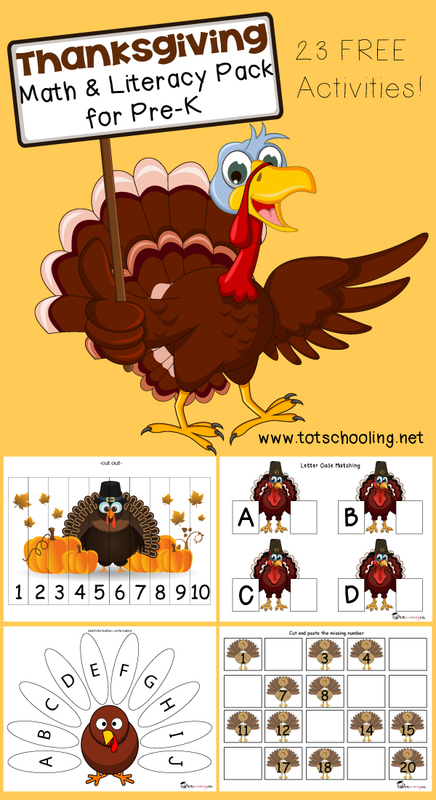 Get ready for Thanksgiving with this fun turkey themed math and literacy pack for preschoolers. 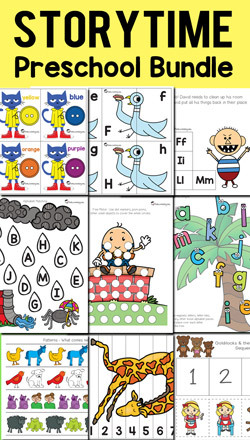 This FREE printable pack is designed for preschoolers to practice math and literacy skills such as counting, number recognition, number quantity, shapes, alphabet recognition, letter sounds, letter cases and more! If you are already an email subscriber, please go to the Subscriber's Page to download this pack! This Thanksgiving Printable Pack is FREE for all Totschooling subscribers! After entering your email address, you will receive a confirmation email to complete your subscription. You will shortly receive a Welcome email that includes a link to the subscriber's page. If you have not received this email, please check your spam folder, or email me at [email protected] Thanks! -You will receive free printables that are not available for download on the website. This includes holiday and seasonal packs, as well as other themed activity packs. This looks like an amazing Thanksgiving themed pack for preschoolers and toddlers! Thank you for linking at Tots at Play linky! Where can I download this? There isn't anything to click on. Hi, this pack can be downloaded from the Subscriber's Page. If you are already a subscriber, the link is included at the bottom of the weekly emails. Otherwise, you can sign up to be an email subscriber in the blue box within this post. You will receive a Welcome email with a link to the Subscriber's page. If you are having trouble with anything, you can email me at [email protected] and I can offer more help. This is so cute! I can't wait to use it! Thank You! Thank You!I like them all! how do i find the subscribers page?